A few days before I left for Christchurch my client started to adjust my appointment schedule which at first made me tut and roll back my eyes in minor annoyance. A split second later I was relishing the prospect of a couple of hours gap when I could take my camera for a walk around the heritage sights of Christchurch. With my photography course starting next week I thought I had better get a bit of practice in on an urban landscape. 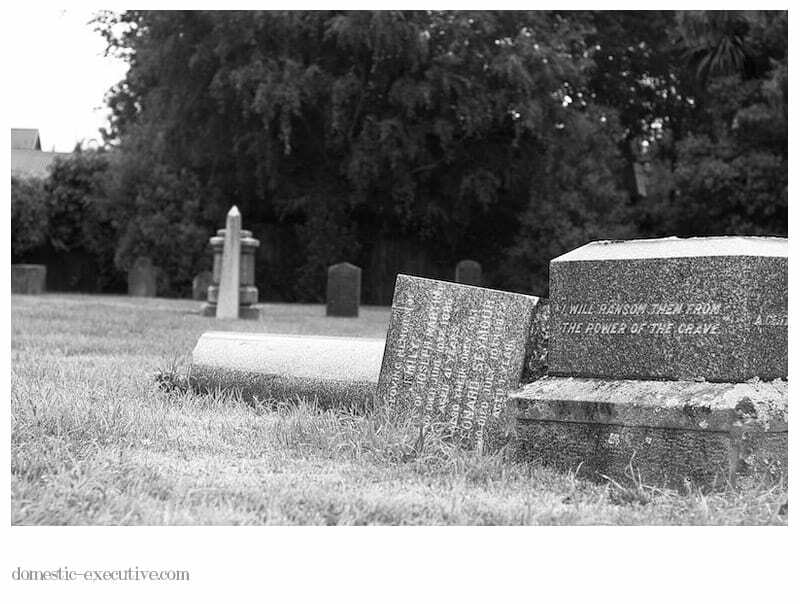 This is not quite the photographic story I was aiming to tell. But the fact I have a story to tell at all is what continues to nag at me. Nine minutes difference and I might have been on the viewing gallery in the Cathedral that plummeted to earth. I planned to start my walking tour at the Cathedral at 1pm, the quake struck at 12.51pm. The fact that I was indulging myself in an additional 10 minutes retail therapy probably saved my life. Life works in mysterious ways as does nature when it vents it’s spleen. I took my first photograph at 12:56:05 (I know from my camera data) whilst waiting for someone to clear the door so we could get out. I admit at that point I was thinking, how cool is this picture going to be on my blog. Little did I know what was beyond that door. I wasn’t one of those folks who took video footage and photographs instead of escaping danger. Stepping into the street my camera was safely stashed back in my handbag and I was gripping the hand of an elderly lady like our lives depended on each other. It was only when she was reunited with her family 20 minutes later did I even think about my camera. 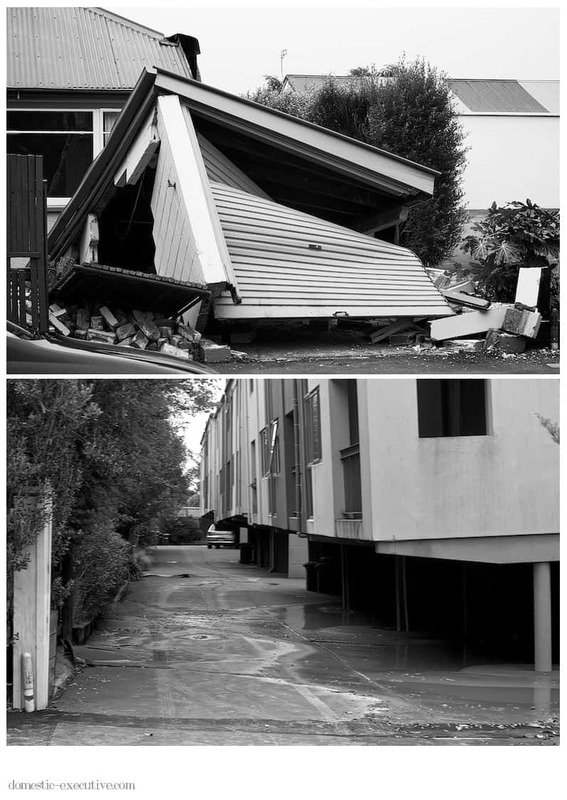 This is a series of “record” shots I took as I walked through the city immediately after the quake and then later in the day when I accompanied my good Samaritan to retrieve her car. 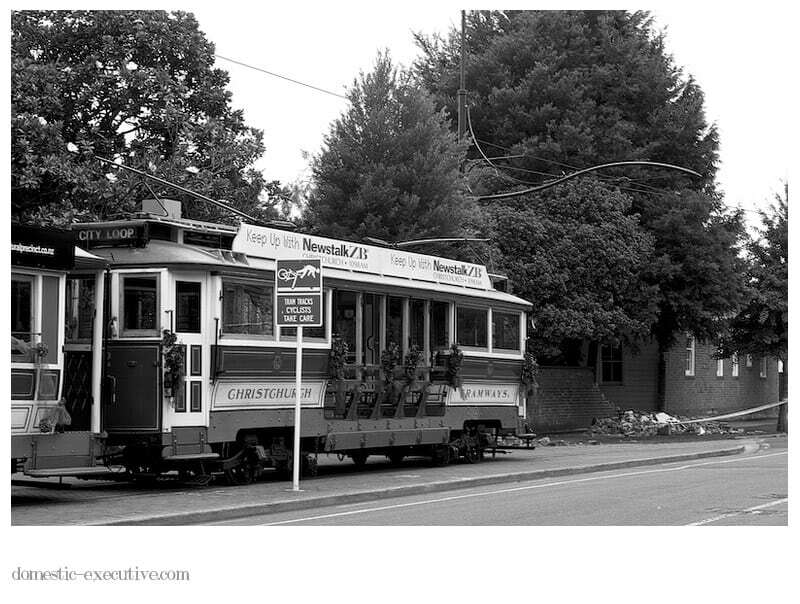 It’s not a view of Christchurch anyone would want – I’m just looking forward to the day when I can go back and record the rebuilt Christchurch and once again count my blessings. 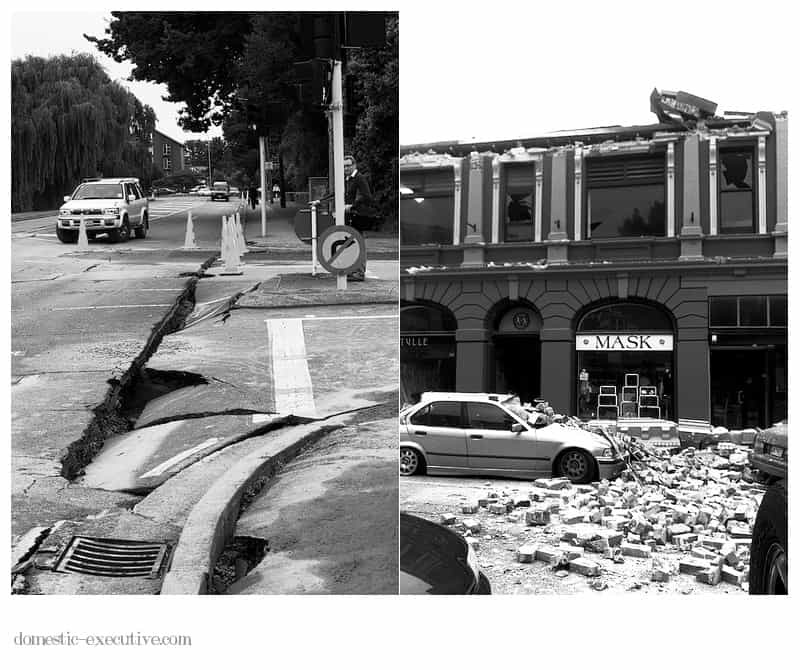 This next photograph was taken around 20 minutes after the quake hit. It’s the corner of Tuam Street and High Street and the first time I’d stopped walking since leaving Ballantynes Store. It was the first time I realised that Christhchurch was really in trouble. People were dazed and confused and increasingly shocked by what we were seeing. People walked as far as possible away from buildings for fear of them coming down on us – no-one wanted to walk on the pavements any more. 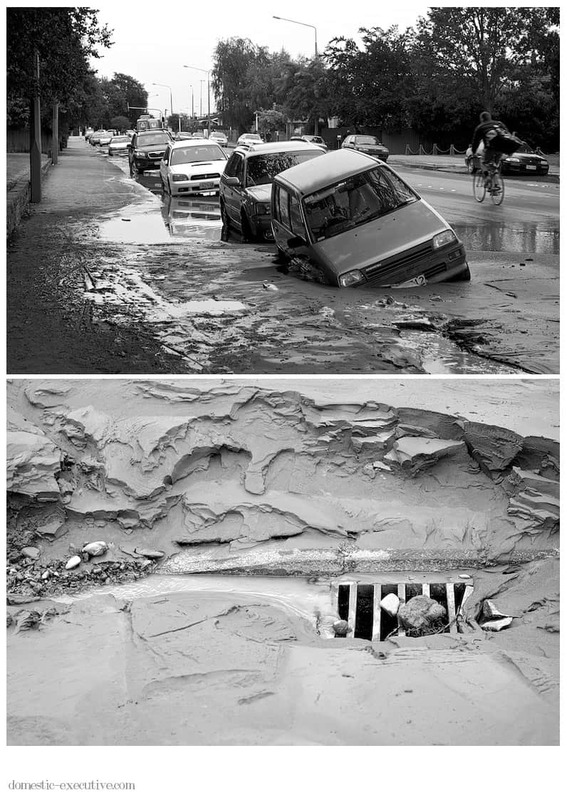 Damage was indiscriminate – old buildings, modern buildings – everything was crushed in their path as they tumbled to the ground. 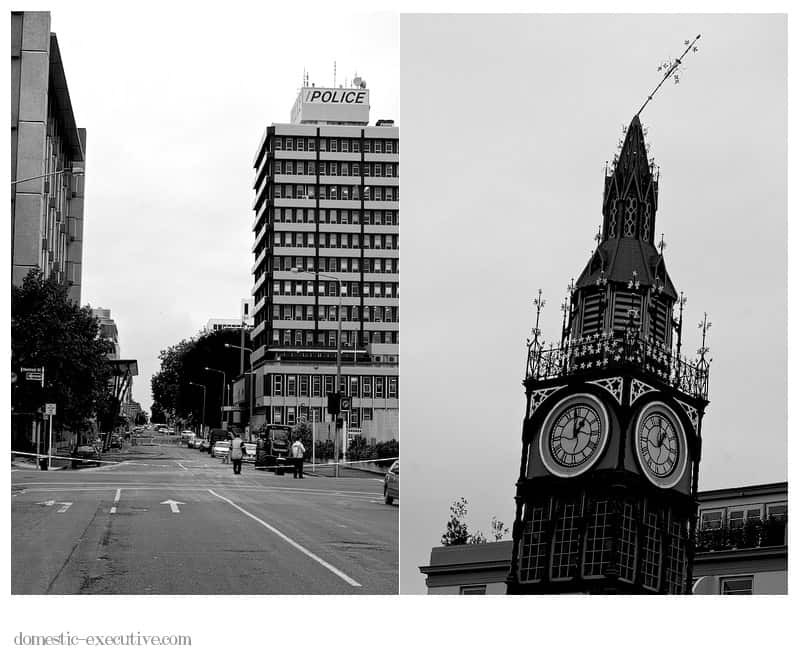 I thought there was something symbolic how the Police Headquarters stayed tall and strong whilst the heritage of Christchurch was battered and bent. One of the most remarkable things about the whole experience was how the police, fire, civil defence and other emergency services swung into action. I remember thinking where were they all hiding to be so quickly on the scene? Fluorescent jackets were on almost every street corner within seconds – civilians and officials stepped into rescue mode and brought a sense of calm and order against a background of carnage and incessant alarms and sirens. Hours later hard hats and steel toed boots had been added to the rescuers uniforms and they all moved purposefully around focused on the task in hand. International rescue teams coming into Christchurch since the quake have praised locals for their immense professionalism and organisation – I couldn’t agree more. 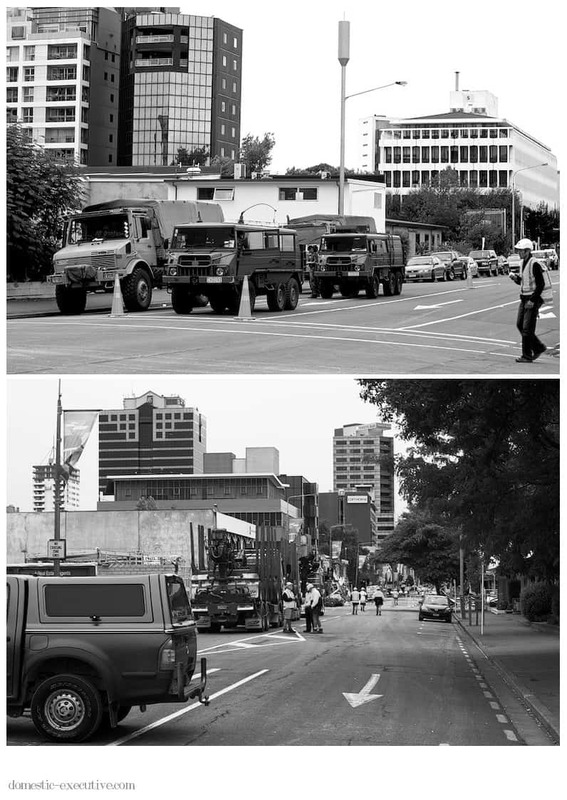 Christchurch had learned from their first shake and although they never hoped they’d have to do it again for real it’s clear that they were executing an emergency plan that would work well. When the rescue and recovery is over the rebuilding will start. There is much to repair and replace. Not just buildings but armies of volunteers are digging Christchurch and it’s suburbs out of liquefaction. It’s a fine silt the colour of cement. Homes have been destroyed, unhinged and made structurally unsound. Demolition is likely the only way forward. 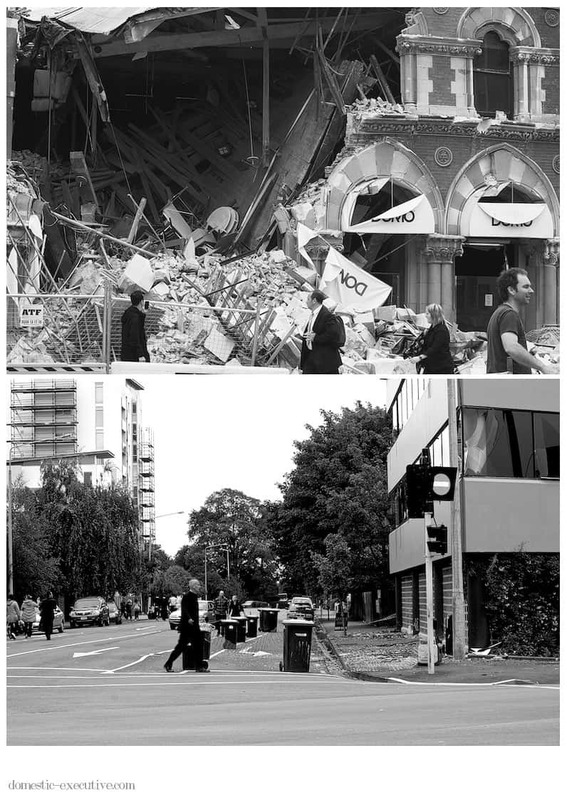 Christchurch will be rebuilt. It will take years but for some people they won’t have the chance to see Christchurch being reborn. This is not the photowalk I planned in one of New Zealand’s most beautiful cities. It’s not a photowalk that I ever want to do again. In a strange way though these photographs are my evidence that what I think I lived through was indeed real. No this was no horror movie it was raw and real but the worst is over for me. Thank you for posting these. My prayers continue for the people of Christchurch. I’m so glad you’re safe, Julie! You captured the devastation of it all.